Sleet is encompassing most of central and southern Maine now. Heavy snow is confined to the mountains and far north. This is thanks to a layer of warm air that moved in aloft, around 6,000 feet. As snowflakes fall into this layer, they melt, then refreeze into ice pellets (sleet) as the fall into the very cold layer of air near the ground. Temperatures are in the single digits for most. Don't underestimate the sleet. It's made a mess of the roads. Regular road treatments aren't effective at these temperatures either. Most roads look like this. As of 2 p.m., the back edge of the precipitation is moving through Vermont. 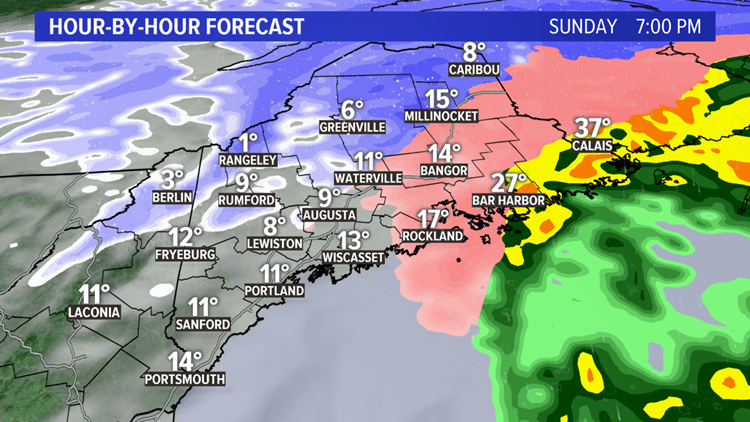 This means western Maine has a couple more hours of steady precipitation to go, a lot of it in the form of sleet, but it may switch back to snow as colder air wraps in aloft. 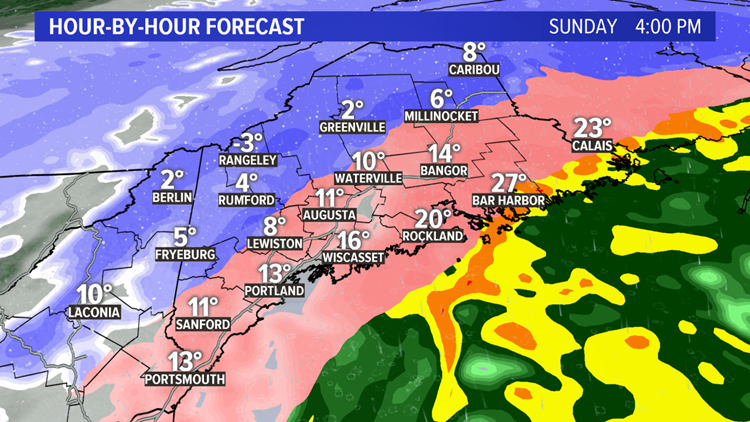 In central and northern Maine, it'll keep snowing into the early evening. Plans for the Pats game? Drive safely. With temperatures falling even more, and in some cases snow/sleet blowing back on to the roads, I expect travel to remain tricky. Tomorrow is all about the cold and wind. 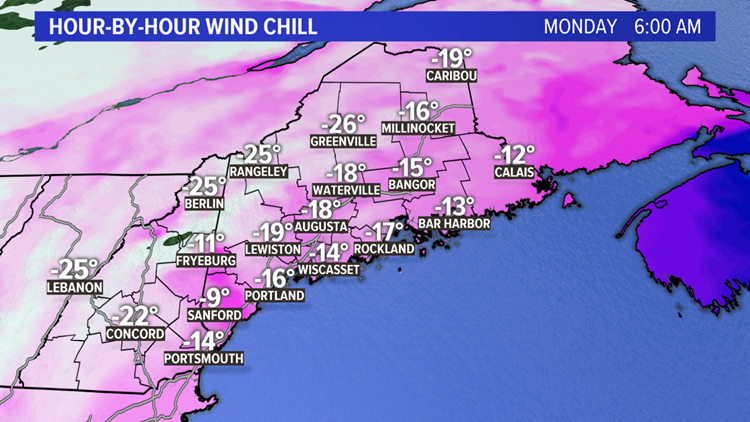 Morning wind chills will be -15 to -30 in most of the state. In the mountains, expect blowing and drifting of the powdery snow to continue.